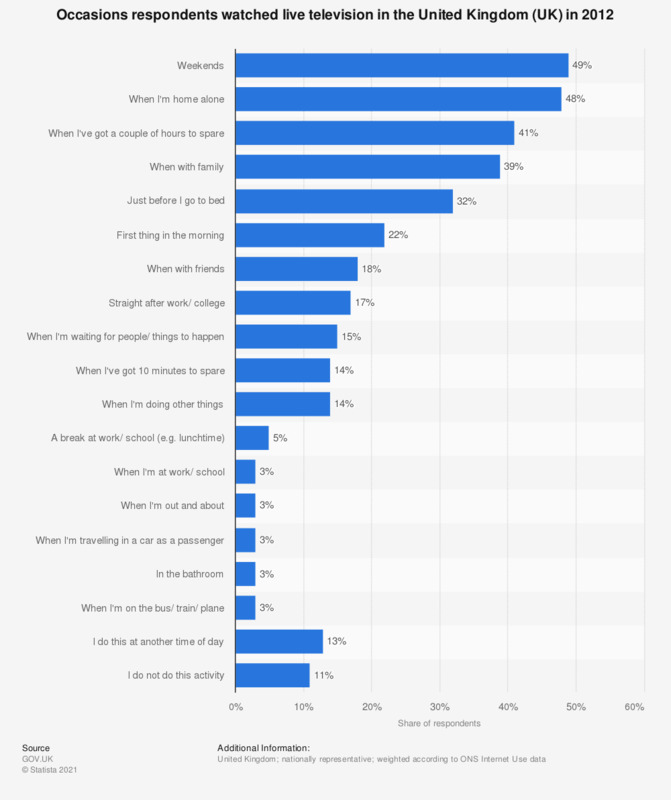 This statistic shows the results of a survey fielded in the United Kingdom in 2012 concerning occasions survey respondents watched life TV. Of UK respondents, 18 percent reported watching live TV when with friends. The source did not provide information regarding the exact survey question or date of survey.